Over the Southern Ocean, November 5th, late p.m.
Dirk had pulled a few strings, and the plane, with its brace of unwilling passengers, plus a couple of steroid-enhanced cabin crew to ensure their in-flight comfort, had been able to take off in the early hours of the morning, avoiding any prying eyes. Jim could understand though. The old man had been through enough and he doubted he ever wanted to see the Scorpion Archipelago again. Nor did Jim. Jim looked at their two guests. No ropes or other restraints had been necessary. When Dirk had explained that their choice was to come quietly or in body bags, they had believed him. Besides, the girl could have changed her name from Catalina to Catatonic now. Jim almost felt pity for her. Her love, or was it purely desire, for Pete had drawn her too close to the flame. But still, cold-blooded murder – twice – could not be dismissed as a crime of passion. He looked at her beauty, corrupted beyond repair in his eyes; such a waste. One of the heavies looked at Jim. The latter just shook his head and the man settled back in his seat. They all followed his eyes and saw the two fangs of rock that marked the mariner’s gateway to the archipelago. “So you’re just going to leave us there?” At last there was a touch of fear in Pete’s voice; even he could not hide it. This departure from his hitherto defiant tone seemed to penetrate the subconscious world into which Catalina had retreated, as if his confidence was her shell, now breached. Dirk interjected: “Yeah, and who knows, in a couple of years’ time maybe there’ll be some polar expedition that chugs past and sees your signal fire – if you survive the darkness of the winter.” He looked at Jim, who in turn looked away. Catalina was shaking; on the verge of hysteria. Pete could not blame her. He held her, as much for his own comfort as hers. The full impact of their terrible sentence was starting to hit home and though he refused to show it he was panicking. Surviving alone in that place, on the island of the dead, with only an insane woman for company, was ordeal enough, but he hadn’t thought about the permanent night of the winters that far south. There was a further, appalling, ironic twist. Would he be able to allow himself simply to die? Man clings to life. Would he be able to resist the urge to drink from the pool by the waterfall? It was the only supply of fresh water he knew of on the island, so he would have no choice. With the chances of escape more or less zero, he saw now what had been meant by Dirk’s comment about the million years. When Catalina pushed away from Pete with force, it came as a surprise to him. But her words came as a shock to them all. “Men.” She paused, allowing the full contempt with which she uttered that word to sink home, though she seemed to be talking to herself. “Young or old – they promise you dreams you’ll never have; worlds you’ll never visit. But such is their dominant hold on the one we have that you end up believing theirs is the way, and violence is the path.” She looked now straight at Pete. “God knows what journey I thought you were taking me on, but only the devil knows why I wanted to go and where it’s leading me. But know this, all of you; the Scorpion Archipelago is not where my story will end. There’ll be a sting in the scorpion’s tail, I swear it.” She looked at the floor now, finished. Her star had flared before it died. As one, the men shivered, though whether through some atavistic, primeval fear of witches, or because they were witnessing the breakdown of a once intelligent mind, they could not be sure. “So that would be cold-blooded as opposed to what; the way you left me to die; the way you shot Cobus and did the same to him?” He received no answer. At this point Pete got out of his seat and looked at the girl. “C’mon, the bastards mean business. It’s better we take our chances together; live to fight another day, even if it’s only with each other.” He took one of the parachutes and held it towards her despite her disengaged state. At last she looked at him and took the ‘chute from his hand. He was at a loss for an answer. She had thrown him now. He couldn’t argue with her logic. The bright, if benighted mind was still there after all, an unexpected vein of that most precious metal – wisdom – running through it. Still, it might have been fool’s gold. Jim turned away as they moved in and stared ahead towards the archipelago. All was not well in his world. There was nothing from Pete. Jim had noticed how he had, if not accepted his fate, at least registered the futility of resistance. But the girl; whether her intention or not, had made this more complex than he had expected. Let it be over soon. The door at the back of the plane was opened. Catalina started to scream and it went through Jim like the sound of nails down a blackboard, despite the roar of the engines. He could not watch, but heard the changing timbre of the pleas as she struggled. At one point it sounded like she had been forced down on the floor, face first. The screams lost their strength and became sobs. For a moment he was back in Rwanda, watching from a hiding place as militiamen brutalised…no, he had to stop punishing himself. This was very different. Wasn’t it? He put his head in his hands. Then, as the plane filled with the roaring chill, as the void raced past the open door, the sobs turned to screams again. It reached the point where Jim could take no more, and just as he was about to turn and call an end to the madness…silence. He sank back in his seat, and took a cautious sidelong glance at Dirk. Neither man spoke for some time, both understanding during those moments why the Professor had chosen not to come. He sat in the wicker chair by the bay window, a ghost of steam rising from the coffee mug at his side, and looked out towards the harbour, where his spiritual home, the sea, flickered in a million places. A long way over the horizon lay a kingdom that he, alone of men, had discovered after years of seeking and dreaming. He should have been so happy – instead he was numb through a combination of painkillers and the mind’s own anodyne. It would kick in soon enough – despair hovered above him like a guillotine blade. Already he could hear the first creaking of its imminent descent and the sound of the executioner’s approaching footsteps as he allowed himself the first dangerous thoughts – the what-ifs. They were almost as many as the glass shard reflections of the sun on the sea and he squeezed his eyes tight to repel them. In doing so he returned himself to the darkness, where the what-is thoughts lived; the reality that he would have to face; the one in which his naivety had brought so much destruction; the one that would find its true mirror in the face of his darling Candice when she landed today as planned in Hobart, to be told the glad tidings. He had decided to leave Jane’s body on the island, at least for now. It was not a symbolic gesture. There would have to be an official investigation. Also, he had not been able to face the thought of disinterring her, so soon after the trauma of putting her in the ground. Nor could he stomach the image of Candice standing by the stark wooden coffin just yet. He hoped she would understand. They could decide together what would be most fitting for their daughter; would she have wanted to come back to Britain, or would the thought of being buried at the scene of one of her greatest discoveries have appealed to her? He would hope for a sign. Unable, even at the end – and to his utter disgust – to let go of his dream, a part of him had been tempted to fill the amphora from the pool before he had left. He looked across at it, still sitting in the bespoke crate he had made for it. The jug reminded him of the early days, when its image in his memory was all he had to hold onto. For a few moments before Dirk had come to rescue him, he had clung to something else; to the hope that, if he and Candice drank of the water and lived long enough, then time would heal the wounds and they could live again; start another life. But who had he been fooling? He would always be an old man, bereft of a daughter. And she had not even lived a full life. Why should he be granted more than one? Besides, how much more destruction would he wreak if he lived forever? He had failed with the life he was given. That was why he decided not to bring back any of water with him after all, and for once his judgement had been correct. Better to leave things alone. …feels it trembling in his fingertips. Something has penetrated his subconscious, some sound, but he has no recollection of it. Now there’s the muffled murmur of waves and the warmth of sunlight; just one shaft that’s fought its way through the canopy of trees and beats on the back of his neck. Slowly, he comes round. His body is awakening bit by ageing bit to the purity of sensation. He feels like he could stay this way forever, though he does not yet appreciate the irony of that thought. Something’s nagging at him, urging him to stand. Now he becomes aware that his hand is wet and he twists his head to see his outstretched fingers partially submerged in the very edge of a pool. It all starts to come back to him and it is as if the water level has risen of a sudden to fill his lungs with a cold, choking sadness. Yet he cannot dismiss the wonder of still being alive, despite the growing sense of horror that makes him resist looking into the pool for now. He tries to push himself up and a band of pain crushes his chest. Looking down he can see his blood-soaked shirt. At last he is able to stand. The terrible sight in the pool is unavoidable now and drives him to his knees again. Then he forces himself up once again, out of duty to her, and begins the task no parent should have to undertake; retrieving the body of his child. He wades into the water, hooks his arms under her, and the deadweight, combined with the heaviness of his heart, drags him down at first. Yet there is no denying, as he stands in the water, a sudden surge of strength that seems to permeate his body. The wounds also seem to ache less. He finds himself able to lift her and carries her out in his arms, his darling girl, before placing her with tenderness on the ground. He looks at his hands and the water in turn. Something has happened here. Water is memory, and he remembers that he was clutching the k’ib when he was shot. Has it fallen into the pool? For a second he harbours the absurd idea of looking for it, but then thinks of the evil that his dreams and wishes have unleashed. Who knows if that mystery of antiquity has been at the centre of everything? Best to do what he should have done from the beginning and leave it alone. Besides, its hold on Pete and his desire for it had already been evident, so he is not likely to have left it behind. More important – he has a loved one to bury. Suddenly he hears gunshots, but who is left alive to kill? He knows now with certainty that Cobus and Jim must be dead, killed by Pete over on TempleIsland – Robbie too, probably. So who is shooting at whom? He contemplates hiding, but then realises that he would rather be dead too. Besides, they must assume he is; that latter-day Bonnie and Clyde. His thoughts turn to Candice but that brings no consolation. After all, he would have to break to her the news of where his folly has brought them. He wonders if she will ever find out what happened to him and if he will ever see her again. He sits for a while, cradling Jane’s body. The water did not save her. Water is memory. He remembers her sitting on his lap in his study, but then struggles to recall the previous time she had sat there. Yet he cannot afford to start questioning now the way they had led their lives. He had been proud of her, and she of him – what does pride come before? At last, helped by his new-found strength, he manages to put her over his shoulder and carry her down to the remains of the camp. He is not prepared to bury her here, in the forest of the dead, more food for the roots of that fecund yet sick place. He will lay her to rest down by the waterfront, somewhere he can watch over her and where the sea can come to pay its respects. He has no idea whether they will ever leave this place. He finds a pickaxe in the equipment boxes and starts to dig what will be a shallow grave. Though he cannot know it for sure, he feels positive that he will be left alone now and that the killers have gone. He has looked around and can see no-one. They must have a plan for returning to civilisation, and that plan must involve Dirk. The missing satellite telephone would appear to confirm that. Despite the nihilism that suffuses his emotions at this moment, he cannot avoid the chill that the thought of isolation and abandonment brings as it comes ashore with the breeze. As soon as he has buried his daughter he will try to light a fire, for warmth and as a signal. He may be dreading speaking to Candice, he may rather wish that he were dead, but man still clings to life and light. And then, as he starts to dig something catches the corner of his eye and he turns. Astonishing! A bedraggled figure is dragging itself in desperation and exhaustion through the surf. He races forward and then stops, horrified and fascinated in equal measures, as the figure pushes itself to its knees. His mind is taken back to the dying man Jim and the others brought back from TempleIsland. Not that this man is as emaciated and gaunt, but he bears a similar haunted look in his eyes. There the similarity ends. He does not exude the same air of desperation, or if he does there is a ferocity underlying it – a determination in his sharp, cruel features. The face is truly terrible to behold. It does indeed bear the look of someone who has lived forever in the darkness and forgotten how not to hate. He believes he understands who this man might be and why he is here. It seems the nightmare will never end. Nevertheless, he feels a certain pity for this creature. Perhaps he should fear him, but he is beyond that. He moves forward and extends a hand to the enervated man, who manages to both look ashamed and exude immense pride, retaining something haughty in his demeanour as he gets to his feet unassisted. The socketed orbs that are his eyes look beyond Sutch towards the forest. That one glance speaks volumes. The Professor gives a slight bow and gestures to the priest to follow him. For possibly the first time in thousands of years,the priest does as he is bidden. As they pass Jane’s body the priest stops. What he is thinking can only be guessed at, but at last they move on. Their progress up through the forest is slow. The priest seems ill at ease. If, as the expedition surmised, the cult of human sacrifice had been strong amongst these people, it may be that he fears the vengeance of the spirits. As they near the pool and the sound of the little waterfall reaches their ears, the priest’s pace quickens and his dreadful face appears to be contorting itself into something approximating a smile – another old man lost in the wonder of desperation. At the water’s edge he scoops several greedy handfuls and drinks. It is like some warped experiment in osmosis, watching him recover, and the rehydration of his spirits is almost visible. The dust of ages is washed away like a flash flood in a desert. However, nothing can make the priest’s features more agreeable; centuries of corrupt thoughts have shaped them and only the winds of time could ever erode their cruelty. He wipes water on his face and neck, on his arms, and makes gestures that appear to be the observance of some ancient ritual. When he turns and looks at Sutch the Professor is surprised to see that although the despotic malice he expected is still there, some vestigial light of humanity seems to be flickering in the priest’s eyes. Sutch stoops and draws in the earth with his finger; it is the shape of the k’ib as best he can remember it. He points to it and then out to sea. The priest nods and walks past him, heading back towards the camp. Sutch is about to follow him when he stops and stares amazed at the ground. Despite everything that has passed, the scientist in him is not completely interred, and he experiences a ‘Eureka!’ moment. The shape he has drawn is more or less the same as the one symbol on the amphora that rebuffed all of Jane’s attempts at translation. It was clearly this people’s written representation of home; yet the commoners never knew of the k’ib. It is a conundrum that will never be solved. Even as he makes a mental note to tell Jane, the reality of now rises from his stomach and fills his throat with despair. At this point a distant humming reaches the Professor’s ears and he hurries past the priest, running the quarter mile or so back to the shore. He reaches for a pair of field glasses and looks into the distance. At last he spots it – Dirk’s plane, but it appears to be heading west, away from the archipelago. In despair he realises that he has not lit a fire, nor does he have time to light a flare, and the noise of the plane is fading. He is desolate. Whatever plan those two hatched for their escape appears to have succeeded. Then a bony but powerful hand rests on his shoulder. As he looks at it, it turns and beckons him. He follows the priest, who leads him to Jane’s body. Sutch looks on in amazement as the ancient, tyrannical shaman lifts the pickaxe and starts to attack the soil at the margin of the beach. Together they set about the task of burying his daughter. The day has advanced. Although it is early summer, in the Southern Ocean that does not herald the start of balmy days. With Jane buried, they build a fire. The presence of each other means that they are not quite, yet, the loneliest people in that vast, unforgiving sea. Despite the circumstances, it affords Sutch much amusement to observe the priest, whose name, as a result of their limited communication, he believes to be Kazkar, as he encounters for the first time the wonders of camping stoves and tinned food. It is perhaps one of the starkest ironies of the Professor’s life to be sitting with this fearsome man and welcome his company. He notices how the priest looks at the stars, as if it is the first time in centuries. A wave of pity washes over Sutch. He knows what it means to have been enslaved, but his sentence had lasted only forty years. He also knows how it feels to lose something precious. They break bread together that evening, like fugitives yet to come to terms with the agoraphobia of their freedom, and like partners in grief. It is late afternoon two days later when the humming returns. The two men stand. They seem to have settled into an agreeable silence, though the Professor senses that, if either of them chose to speak it would be the priest. Such is the enormity of the emptiness in these parts, a vastness that dwarfs the hardy dust of humanity that has settled this far south, that he knows this plane must be coming for him, and the priest knows it too. Something has happened. The plans of those miserable wretches have gone wrong somehow. 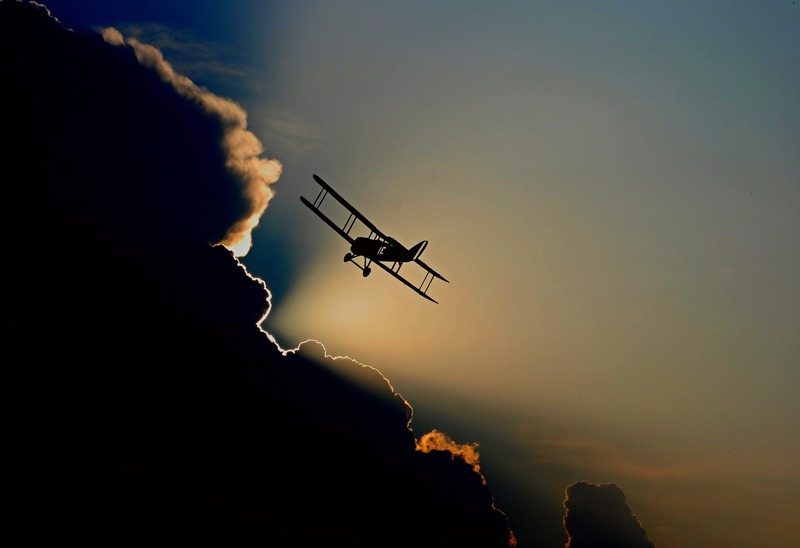 As the plane draws nearer, and he recognises it as Dirk’s Cessna, he turns towards the priest. With as appropriate a gesture as he can make, he invites Kazkar to make a trip with him into the twentieth century. Even as he does so, he ponders the magnitude of that step, both for the priest, and for the scientific community of the modern era. That plane would hold a unique place in history, the first time machine, if it brought this old shaman into the future. …dragged him back from his memories and caused his mind to pitch forward hundreds of miles to a desolate place he knew for a brief time: to what would be happening there now. A part of him – a part of which he was ashamed – believed there had to be punishment for the sins and crimes committed, but that did not sit comfortably with him. After all, a lot depended on one’s definition of sin. He had led an expedition, which had stolen an artefact from a people who, right or wrong, followed the cult of human sacrifice. The high priest of that people had spared his life. Who was he, Edward Sutch, to decree that someone should die? For it did not matter how much they dressed it up; death was what lay ahead for Catalina and Pete. If not from exposure or starvation then…He squeezed his eyes shut for a moment, then rose shakily from his chair to open the windows and allow a summer’s warmth, containing the sounds of that day to dominate his senses.